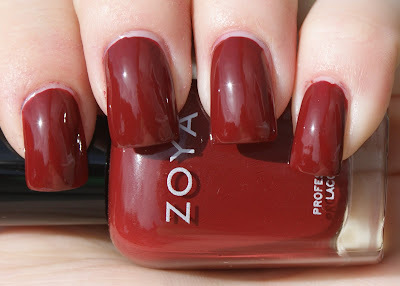 Today, I have for you the Zoya Cashmere Collection, six cream shades just in time for Fall! Flynn is a camel brown cream shade. I normally am not a fan of browns, but I feel like this one is pretty in a delicate sort of way. It would look really nice with some bright colored nail art! 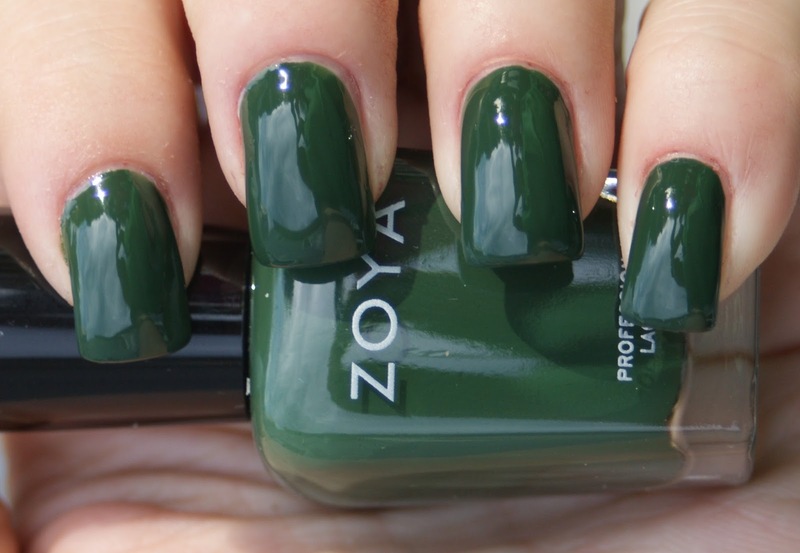 Here is Zoya Hunter, a forest green cream polish. I LOVED how shiny this polish was with only two coats. Even in the shade, this color just POPS. Next is Livingston, a bright red creme polish. I love this for 1000 different reasons and not just how beautiful it shines after two coats. As an alum of Rutgers, whose mascot is the Scarlet Knight, I always love a good red. When I was a freshman, I lived on Livingston campus. So to have a red called Livingston makes me absurdly happy! Louise is a luscious chocolate brown creme that looks like I literally just dipped my hands in chocolate. Chocolate without the calories... sign me up! Pepper, a crimson creme polish, is next in the collection. I'm not sure whether this reminds me more of Dr. Pepper or Ms. Pepper Potts (of Iron Man fame), but really... who cares? Regardless, it's a STUNNER for the fall. Last, and definitely not least, is Sailor. 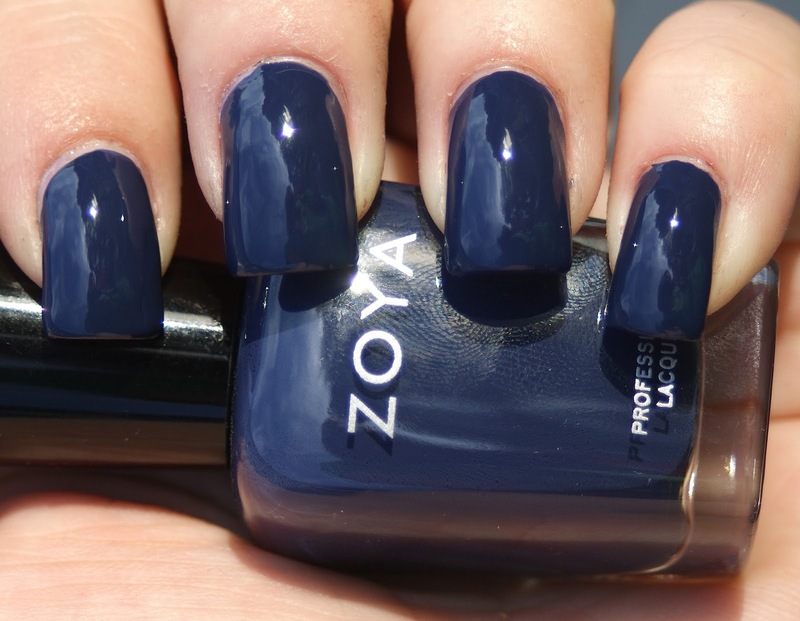 Sailor is a navy blue creme that is slightly dusty. Instantly, I think of Sailor Moon. Which is totally not a bad thing. I do love this shade. Add another blue to my Zoya drawer, please! Overall, I really liked the shades from this collection. My top two are Livingston and, surprisingly, Flynn. I tried out some jewel-toned nail art with Flynn and it looked so stellar that it bumped it above my number three, Sailor. Stay tuned for that tomorrow. The entire Cashmere collection is available at Zoya.com for $8 per bottle. You can also find Zoya at your local Ulta store. Are you going to be picking up any of the Cashmere shades? And do you love these as much as I do? Great swatches - Love this collection! These all look so great on you, but I think my favorite is Sailor! I really love Flynn! This whole collection is great and screams fall. Pepper is stunning on you! Great review! My favorite is Sailor! I definitely need to wear it again! Flynn Louise and Pepper were my faves!